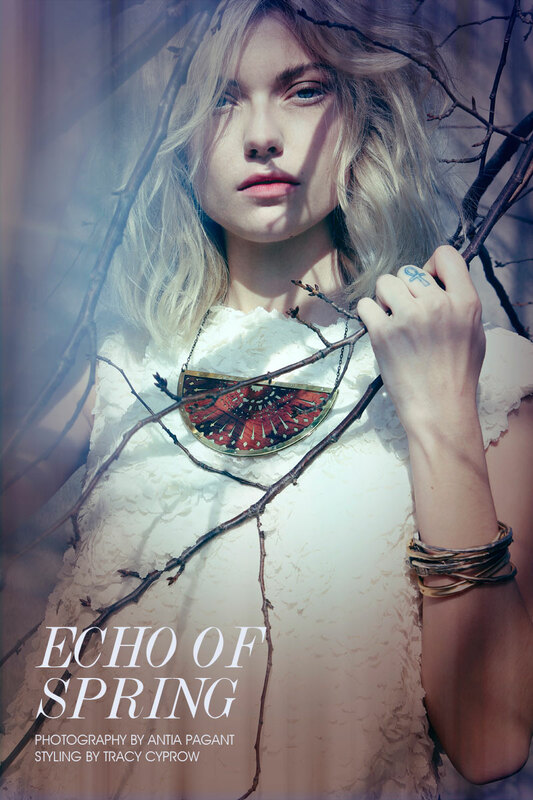 Echo of Spring – Antia Pagant captures Farah Holt in a series of ethereal images lensed for FGR’s latest exclusive. The blonde beauty enchants in spring looks from the likes of Donna Karan, Alberta Ferretti and Prabal Gurung selected by stylist Tracy Cyprow. For beauty, Farah dons mussed tresses and understated makeup courtesy of Veronica Barcia.